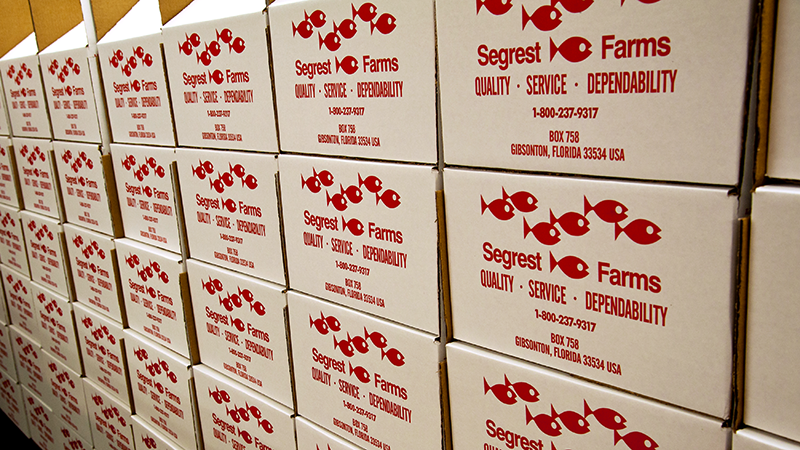 Central Garden & Pet Company, a leading innovator, marketer and producer of quality branded products for the lawn and garden and pet supplies markets, announced today that it has purchased Segrest Inc., the leading wholesaler of aquarium fish, for a cash purchase price of $60 million. The acquisition is not expected to be dilutive to earnings in fiscal 2017 and accretive thereafter. Central Garden & Pet Company is a leading innovator, marketer and producer of quality branded products for the lawn & garden and pet supplies markets. Committed to new product innovation, our products are sold to specialty independent and mass retailers. Participating categories in Lawn & Garden include: Grass seed and the brands PENNINGTON®, and THE REBELS®; wild bird feed and the brand PENNINGTON®; weed and insect control and the brands AMDRO®, SEVIN®, IRONITE® and OVER-N-OUT®; and decorative outdoor patio products under the PENNINGTON ® brand. We also provide a host of other regional and application-specific garden brands and supplies. Participating categories in Pet include: Animal health and the brands ADAMS™ and ZODIAC®; aquatics and reptile and the brands AQUEON®, CORALIFE® and ZILLA®; bird & small animal and the brands KAYTEE®, Forti-Diet® and CRITTER TRAIL®; dog & cat and the brands TFH™, NYLABONE®, FOUR PAWS®, IMS™, PINNACLE® and AVODERM®; and equine and the brands FARNAM®, HORSE HEALTH™ and VITAFLEX®. We also provide a host of other application-specific pet brands and supplies. Central Garden & Pet Company is based in Walnut Creek, California, and has approximately 3,700 employees, primarily in North America. For additional information on Central Garden & Pet Company, including access to the Company's SEC filings, please visit the Company's website at www.central.com. These risks and others are described in Central's Securities and Exchange Commission filings. Central undertakes no obligation to publicly update these forward-looking statements to reflect new information, subsequent events or otherwise.